Dr. Ciarán P. Kelly, M.D. serves as the Chief of the Herrman L. Blumgart Internal Medicine Firm. Dr. Kelly serves as Director of Gastroenterology Training and Medical Director of the Celiac Center at Beth Israel Deaconess Medical Center, Boston, Massachusetts. Dr. Kelly serves as Member of Clinical and Scientific Advisory Board of Alvine Pharmaceuticals, Inc. 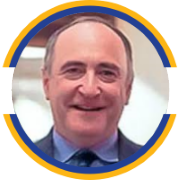 He serves as a Member of Clinical & Scientific Advisory Board at ImmusanT, Inc. He has been a Member of Clinical Advisory Board at Synthetic Biologics Inc. since June 30, 2014. Dr. Kelly has longstanding clinical and research interests in intestinal infection and inflammation and has studied the pathogenesis and management of celiac disease for over 20 years. He serves as a Member of Scientific Advisory Board at Cour Pharmaceutical Development Company, Inc. He serves as an Associate Professor of Medicine at Harvard Medical School. Dr. Kelly is the Author of more than 150 clinical and basic research book chapters, invited reviews and peer-reviewed publications appearing in such journals as Infection & Immunity, American Journal of Physiology, Gastroenterology, Journal of Biological Chemistry, Journal of Clinical Investigation, The Lancet and New England Journal of Medicine. Dr. Kelly is a Fellow of the American College of Gastroenterology and a past Fellow of the Royal College of Physicians of Ireland. Dr. Kelly was a Foundation Scholar at Trinity College in Dublin, Ireland and recipient of numerous academic awards from it. 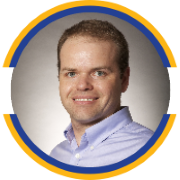 Dr. Kelly earned his doctor of medicine degree from Trinity College in Dublin, Ireland. Dr. Kelly has also received postgraduate clinical and research awards from the Crohn’s and Colitis Foundation of America, the American Gastroenterological Association and the National Institutes of Health. 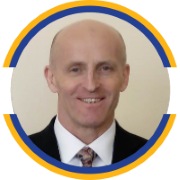 Dr. Mark Wilcox, M.D., FRCPath, serves as a Consultant Microbiologist, Head & Professor of Medical and Academic Lead of Pathology/Clinical Director of Pathology, at the Leeds Teaching Hospitals (LTHT). Dr. Wilcox is a Professor of Medical Microbiology at the University of Leeds at their Institute of Biomedical and Clinical Sciences and is the lead on Clostridium difficile for Public Health England in the UK. Dr. Wilcox serves as the Principal/UK Investigator for several clinical trials of new anti-infective drugs and has provided clinical advice as part of the FDA/EMA submissions for the approval of several novel antimicrobial agents. He was the Director of Infection Prevention, Infection Control Doctor and Clinical Director of Pathology at LTHT. 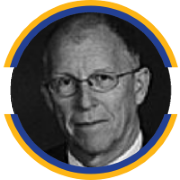 Dr. Wilcox has been the Chairman of Clinical Advisory Board at Synthetic Biologics Inc. since June 30, 2014. He has been Member of Scientific Advisory Board of Seres Health, Inc. since January 2015. He serves as a Member of Scientific Advisory Board at Novacta Biosystems Limited. He serves as Member of Scientific Advisory Board at Motif Bio Plc. He serves as a Member of Scientific Advisory Board at Calixa Therapeutics, Inc. He serves as Assistant Editor of the Journal of Antimicrobial Chemotherapy and Member of Council of the British Society of Antimicrobial Chemotherapy. Prof. Wilcox serves as a Member of the Department of Health’s Antimicrobial Resistance and Healthcare Associated Infection (ARHAI) Committee and an Advisor to the UK Healthcare Commission, the Medicines and Healthcare products Regulatory Agency, the EPIC project on infection control issues, the Health Technology Assessment (HTA) programme on Healthcare Associated Infection and the European Centre for Disease Control. Dr. Wilcox serves as a Member of UK, European and US working groups on Clostridium difficile infection. He served as Scientific Chairman of the 2002 Hospital Infection Society International Conference and served as Secretary of the Hospital Infection Society. He serves as a Professor of Medical Microbiology at the University of Leeds and is the lead on Clostridium difficile infection for the Health Protection Agency Regional Microbiology Network in England. His research projects include several areas of healthcare associated infection, in particular Clostridium difficile infection, staphylococcal infection and the clinical development of new antimicrobial agents. Dr. Wilcox has authored more than 360 papers and published a number of books and chapters. 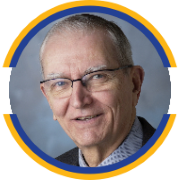 Dale Gerding is a Research Physician at the Edward Hines Jr. VA Hospital and Professor of Medicine at Loyola University Chicago Stritch School of Medicine in Maywood, Illinois (retired). Prior to his present position Dr. Gerding was Chief of Medicine at VA Chicago, Lakeside Division, and Professor of Medicine at Northwestern University Feinberg School of Medicine. 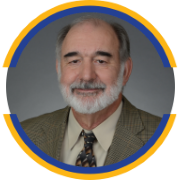 He is an infectious diseases specialist and hospital epidemiologist, past president of the Society for Healthcare Epidemiology of America and past chair the antibiotic resistance committee of SHEA. He is a fellow of the Infectious Diseases Society of America (IDSA) and past Chair of the National and Global Public Health Committee, the Antibiotic Resistance Subcommittee, and is co-chair of the guideline for Clostridium difficile Infection of IDSA and SHEA. He served as a member of the Board of Directors of IDSA from 2005-2008. He has been honored with the Lifetime Achievement award of the Anaerobe Society of the Americas in 2010 where he is also past president. He has also received the Lifetime Achievement Award of the Veterans Affairs Society for Physicians in Infectious Disease in 2014. He is a Master of the American College of Physicians and the 2013 recipient of the William Middleton Award, the highest research award given by the Department of Veterans Affairs. He is a member of the American Society for Microbiology, and is board certified in Internal Medicine and Infectious Diseases. His research interests include the epidemiology and prevention of Clostridium difficile infection, antimicrobial resistance, and antimicrobial distribution and kinetics. 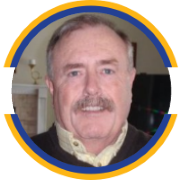 He has been a Merit Review funded research investigator in the VA for over 40 years and is the author of over 400 peer-reviewed journal publications, book chapters, and review articles. He holds patents and technology for the use of non-toxigenic C. difficile for the prevention and treatment of this disease. 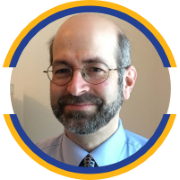 He is a member of the editorial boards of Clinical Infectious Diseases, Antimicrobial Agents and Chemotherapy, Gut Microbes, and Infection Control and Hospital Epidemiology, and is an ad hoc reviewer for numerous other medical journals. More information about Dr. Kirby may be found at www.kirbylab.org. Dr. Stephen Brecher, also known as the “Chief of Staph”, has been practicing clinical microbiology for 50 years. 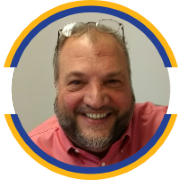 He is the Director of Microbiology at the VA Boston HealthCare System (36 years) and is an Associate Professor of Pathology and Laboratory Medicine at the Boston University School of Medicine. He is on the editorial board of the Journal of Clinical Microbiology and has chaired/convened a workshop on antibiotic resistance at the annual meetings of the American Society for Microbiology for 20 years. His research interests are centered around C. difficile infections, antibiotic resistance, and the field that is keeping him from retirement, improved technology for rapid, accurate diagnosis of infectious agents, including antibiotic resistance testing. Dr. Brecher is well known for his expertise in these fields and for his ability to tell you that the microbes are winning, but life is still fun. He has lectured worldwide and most recently (January, 2019) gave a TEDx talk on bacteria (“To see three pounds of bacteria, look in the mirror”). 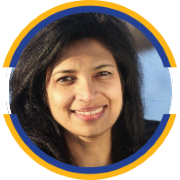 Dr. Kalpana Gupta is Chief of Infectious Diseases at VA Boston Healthcare System and a Professor of Medicine at Boston University School of Medicine. She is a clinical investigator with expertise in the prevention and treatment of bacterial infections. Her research topics include UTI, health care associated infections, and multi-drug resistance epidemiology. She served as Chair of the 2010 IDSA Clinical Practice Guidelines on Treatment of UTI in Women and is co-author of the Clinical Practice Guideline for the Management of Asymptomatic Bacteriuria: 2017 Update by the Infectious Diseases Society of America. She has authored over 100 papers, invited editorials, and textbook chapters, as well as seminal reviews on UTI diagnosis and treatment. International Executive with over 30 years of experience in sales, strategic marketing R&D, Business Development and Portfolio Management. Diederik Engbersen provides advisory and management services to the diagnostic and life science industry in seeking new solutions to meet unmet clinical market needs across international geographies. This includes the creation of business, R&D and marketing strategies and plans resulting in timely and successful market access and acceptance. 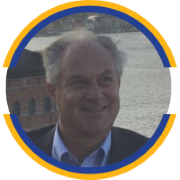 Diederik brings over 30 years of international executive experience in holding sales, strategic marketing, R&D, business development and portfolio management positions in among others Organon Teknika and bioMerieux in Belgium, Greece, USA, France, Germany, and the Netherlands. Most recently he was Head of Marketing EMEA for Accelerate Diagnostics in Spain. He earned his undergraduate (BS in Medicine) and graduate (MS in Medicine) degrees from the Faculty of Medicine of Leiden University, The Netherlands. An accomplished, innovative, senior executive with over 20 years of experience in the development of sophisticated diagnostic products and services within the clinical laboratory and biotech industry. Mr. Shuber is an accomplished, awarded professional in the field of Molecular Biology. A Senior Biotech/Life Science Executive, he is renowned for strategic vision and innovation within Diagnostics and Applied Genomics focused on novel products/breakthrough and commercialization. Mr. Shuber brings over 25 years of experience in both Diagnostics and Biotech. Most recently Mr. Shuber was VP and Chief Science Officer of Nabsys Inc. where he developed the clinical strategy for the application of Structural Variation analysis in oncology. Prior to Nabsys, Mr. Shuber was the Chief Technology Officer at Ignyta where he identified a novel platform for CTC enrichment for a liquid biopsy associated companion diagnostic approach. Prior to Ignyta, Mr. Shuber was Chief Technology Officer and Co-Founder of Predictive Biosciences and led the company’s overall scientific efforts and applied research team in developing the first non-invasive diagnostic test that combined protein and DNA analysis in a single assay. Mr. Shuber also previously served as Co-Founder, Executive Vice President and Chief Technology Officer for EXACT Sciences, where he received the Colorectal Cancer Network associated Outstanding Scientific Achievement Award for the development of proprietary sample preparation and analytical technologies for the early detection of colorectal cancer. Prior to Exact he directed and managed the Technology Development group at Genzyme Genetics where he spearheaded from development to commercial launch multiple DNA-based diagnostic tests offered in the CLIA approved Genzyme Genetics Laboratory. Mr. Shuber began his commercial career at Genetics Institute where he spent six years as a bench scientist focusing on the heterologous expression of human genes in bacteria for therapeutic applications. He holds over 50 granted US patent applications and has authored over 35 peer-reviewed publications in such prestigious journals as The New England Journal of Medicine. He earned his undergraduate (BS in Biology) and graduate (MS in Molecular and Developmental Biology) degrees from Marquette University, Milwaukee, Wisconsin. After spending 14 years with Abbott Diagnostics, holding numerous management positions within the company in sales, product development, training, and business unit management for national accounts, Mr. Wedemeyer was then privileged to be a part of the startup team at Ventana Medical Systems. In 1994 Mr. Wedemeyer created and launched FeedbackSTAT, a full-service market research and business development company, focused exclusively on the biotech and healthcare markets. Our experienced team executes projects in the fields of molecular biology, clinical chemistry, veterinary diagnostics, anatomical pathology, DTC (Direct-to-Consumer) and POC (Point-of-Care) testing. Dr. Charles Root is CEO of CodeMap, LLC. He has provided laboratory coding and reimbursement information to healthcare providers and manufacturers for over 22 years regarding compliance, coding and economic issues. CodeMap’s clients include more than 50 diagnostic test manufacturers and over 1,500 health care providers (hospitals, independent laboratories and imaging centers) who rely on CodeMap publications, compliance training, and advisory services. Dr. Leon was one of the visionary founders of the molecular diagnostics lab offering at Quest Diagnostics. He has pioneered the development of molecular diagnostics, gene sequencing and pharmacogenomic testing over the last 30 years. Dr. Leon currently provides advisory services for diagnostic and pharmaceutical businesses, assessing and evaluating new technologies and developing companies with solid business plans. This includes catalyzing the development and commercialization of new products. Dr. Leon is the President and CEO at Leomics Associates, was the Vice President of Applied Genomics at Quest Diagnostics and the CSO and Senior Vice President of Business Development at NEN Life Sciences. 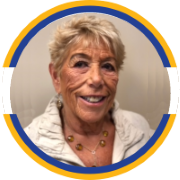 Fran White is the founder and President of MDC Associates, an FDA/ISO regulatory and quality assurance consulting company providing a broad range of support services to the in vitro diagnostic industry. The company was founded 30 years ago. Under Fran’s direction, the company has grown, representing several in vitro diagnostic companies. MDC has obtained FDA pre-market clearance for more than a 100 products including products for C. difficile. Prior to founding MDC Associates, Ms. White worked in the field of medical clinical microbiology and then joined Gibco Laboratories. At Gibco Laboratories, Ms. White served in a variety of leadership roles in regulatory affairs, quality assurance customer and technical Services. Marketing expert with more than 25 years of Sales and Marketing expertise across a variety of industries. Mr. Severns provides strategic marketing insight to small and medium-sized businesses across a variety of regulated industries. Previously, Mr. Severns held marketing leadership positions at Rapid Micro Biosystems and Emptoris – IBM, where he lead successful product launches and growth across industry awareness metrics and lead acquisition. He has leveraged innovative marketing strategies to help smaller companies navigate the modern complexities of online, inbound and outbound marketing. Mr. Severns is currently the president of Severns Consulting, Inc.
Mr. Meyers has over 20 years of experience representing the industry leaders in life science. 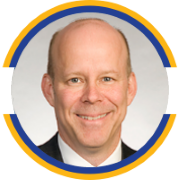 Tom Meyers has over 20 years of experience representing the industry leaders in life science. 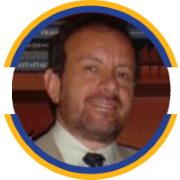 He is internationally-recognized for his experience in creating, implementing and monetizing effective patent strategies. Tom leads the Intellectual Property Group at Brown Rudnick and is the co-Leader of the Firm’s multidisciplinary Life Sciences initiative. Tom represents public and private companies, investors, and academic institutions in the life sciences arena. His portfolio of life science companies spans diagnostics, medical devices, life science tools and technology platforms, genomics, and therapeutics. Before joining Brown Rudnick, Tom was a partner at Testa Hurwitz & Thibeault LLP and later Chair of the Intellectual Property department at Sullivan & Worcester LLP. From 2004 – 2007, Tom served as Vice President and General Counsel of Helicos BioSciences Corporation, where he directed and implemented patent and legal strategies and played a significant role in that company’s successful IPO. Tom speaks and writes extensively on patent and licensing matters, and presents frequently at major pharma and life sciences meetings. He advises investors, funds, and leading executives on strategies for monetizing intellectual property assets. For the past 14 years, Tom has served as an adjunct professor of law at Suffolk University Law School; and most-recently at MIT.